Sumner Redstone team in settlement talks over competency suit. Sumner Redstone's legal team has entered talks to settle his legal dispute with the ex-girlfriend who challenged his mental competency. The move, yet another twist in the months-long legal battle involving the former Viacom (VIA) and CBS (CBS) chairman, suspends a deposition of Viacom CEO Philippe Dauman, which was scheduled to take place on Tuesday. Redstone's ex-girlfriend, Manuela Herzer, is seeking to regain legal control of the billionaire media mogul's health decisions by arguing that Redstone was not in his right mind when he signed a legal document revoking her control of his affairs. Earlier this month, Los Angeles Superior Court Judge David Cowan ordered that Herzer's case go to trial because there was too much conflicting evidence to reach a decision. That ruling also acknowledged that Redstone's mental status "is not as clear as it could be." 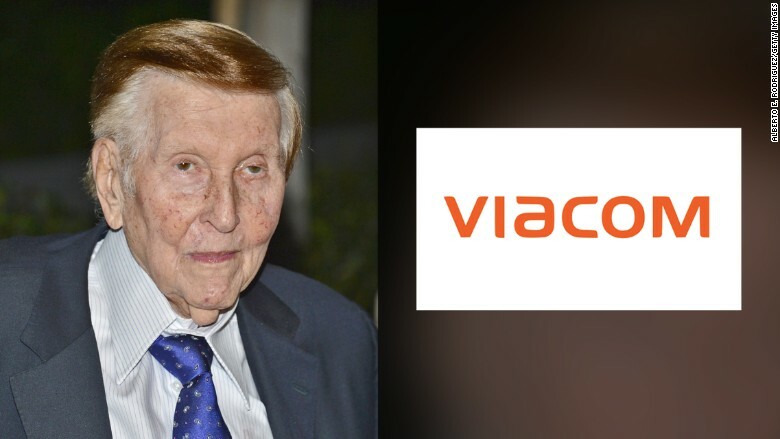 Redstone, who is 92 and has suffered from various health issues in recent years, controls roughly 80% of the voting shares at CBS and Viacom. He resigned as chairman of both companies in February (replaced by Leslie Moonves at CBS and Philippe Dauman at Viacom) but remains chairman emeritus at both. Herzer, one of Redstone's longtime ex-girlfriends, filed a lawsuit in November claiming that she had been wrongfully removed from her charge over Redstone's health decisions because the media mogul was not mentally capable of making the decision to remove her. Redstone's lawyers argue that Redstone was mentally capable, and that Herzer is only trying to reinstate herself in his will. Since then, Dauman, who replaced Redstone as Viacom chairman, has taken over Redstone's healthcare decisions.